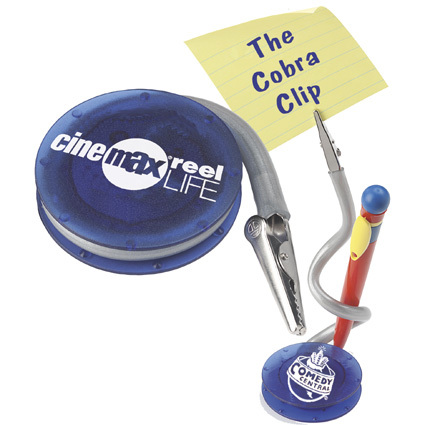 Cobra Clip Note Holder Fun and functional.An alligator clip is attached to a flexible coated wire so that you can arrange its placement and look. They come flat, wrapped around the translucent disk base. The Cobra Clip easily stands freely on your desk.